Some Frequently Asked Questions About rel="author"
Google Authorship helps authors get their content associated with their name, so people can recognize them. Not only that, it helps them get going with their PageRank, which ultimately effects the search rankings of their content. And besides showing your author profile picture in search results (which has an immediately positive effect on your Click Through Rate), it also makes more posts by the author accessible to the searcher, hence retaining more value from a single searcher. Since it is such an important question, people ask a lot of questions regarding rel="author" and Google Authorship. We'd like to address some of them with the help of Google in this post. Does Authorship work with all kinds of pages? As it happens, no. Authorship can only work with pages actually written by an author, and not with those that are more generic, say like a contact page. A page show have a clear byline indicated that a certain author wrote this post, and it should use the same name as used on their Google Plus profile. The page should also contain content by a single author, such as a single article. If it has a continuously updating stream, written by multiple authors, then there's really no point in associating a single author with that content. Can aliases, or company mascots be used? They can, but Google prefers that the content be written by an actual human being, and that increases the trust rating for a page. But make sure you link to a legitimate Google Plus profile in the Authorship markup, instead of linking to a company Page. Can multiple authors be added for a single article? The short answer is, no. But Google is still experimenting to find the optimal outcome for searchers when more than one author is specified. And you can always add multiple authors for a single site. Difference between rel="author" and rel="publisher"
Well, rel=publisher helps a business create a shared identity by linking the business’ website (often from the homepage) to the business’ Google+ Page. rel=author helps individuals (authors!) associate their individual articles from a URL or website to their Google+ profile. While rel=author and rel=publisher are both link relationships, they’re actually completely independent of one another. Should authorship be used in site's property listings or products pages? Well, property listings and product pages generally are listings property or products that showcase something, and display its features. These are objective details, irrelevant to the personal opinions of a human being. These objective details can possibly be found on another site. For example, you can find the same laptop or smartphone listed on multiple online shopping stores - and they have nothing to with who added their features/descriptions. The point being, that Google wants to return results that have a human perspective. But there's no such perspective in product pages. Hence, it is discouraged to use authorship for product listings. An author can, however, write a review of a product, and add a much higher level of subjectivity to the content, making it relevant to the individual author. Not that you should make a habit of it, but there might arise a few situations where you'd want Google to not show Authorship. In those cases, you can remove the authorship markup, which is the most obvious solution. You can also remove the profile and contributor links to the website on your profile. That is a more elegant solution. You can also set your Google+ profile un-discoverable in search results, and this is the fastest way to get the job done; maybe not the best one though. To do this, go to your Google+ main menu, and click on Settings. Now un-check the box that says "Help others discover my profile in search results". Be warned though. This will disable your Authorship for all sites you contribute to. So this might not be the most elegant solution. 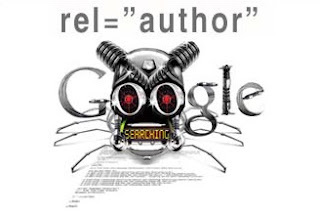 For getting Google authorship verified, rel="author" is NO LONGER used! If you wish to make a living online, there's no greater roi as compared to building a how to get started making money online. Weblogs tend to be easy to produce but cost near to nothing. Your post is very nice. thanks for information Some Frequently Asked Questions About rel="author". good blog....getting very much knowledge ....some points are very nice which ll definitely help me.. thanks for sharing..